Toyota Motor Corporation’s sales are up for the first nine months of this year, putting it ahead of rivals General Motors Company and Volkswagen AG as the world’s largest producer. GM held the top spot for seven decades before Toyota unseated GM in 2008, but only until 2011 when natural disasters disrupted the supply chain in northeastern Japan. Toyota again ranked first last year and it looks like it is going to finish 2013 at the top as well. Toyota announced 7.41 million vehicles sold globally in the first nine months of the year on Monday, versus GM’s 7.25 million announced last week and Volkswagen’s 7.03 million. However, Toyota North America CEO James Lentz says GM is not their biggest competitor, according to the Associated Press. The demand in the United States right now is driven by the historically low interest rates, Lentz said, and will probably last through 2014. 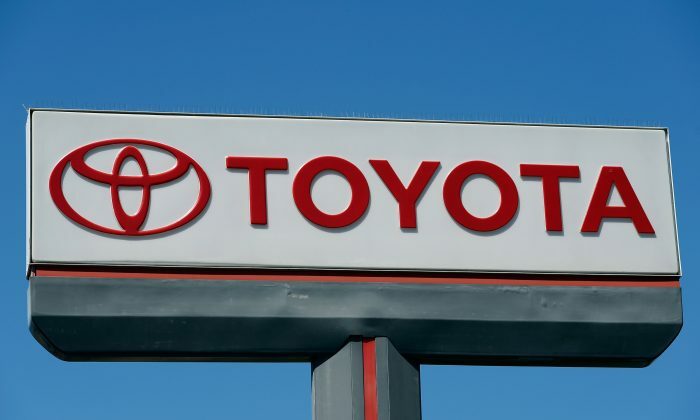 Toyota, which has better credit ratings than GM and Ford Motor Company, also leverages it Toyota Financial Services branch to retain autos customers, says CEO Mike Groff. “Our strategy is built around loyalty and retention,” Groff told Bloomberg News. “We literally try to take people out of the market before they even think about shopping [another brand],” said George Borst, executive adviser to Toyota Financial Services, according to Bloomberg. Auto leasing is at its highest in a decade according to data from JD Power & Associates, with record high prices for used cars and record low interest rates. Analysts expect auto sales to jump 12-13 percent this month compared to last year, more than making up for the 4 percent drop last month. That was the first negative month in more than two years. Toyota’s exports to the United States rose 9 percent from last year, with high demand for the RAV4 and Lexus IS. The weak yen helped Japanese automakers’ exports, and GM CEO Alan Mulally has called it currency manipulation, giving them an unfair edge. Local car makers in Japan control 90 percent of the market and their shipments rose for the first time in four quarters. Japanese autos sales in September rose the most in 14 months due to the improving economy, and the impending increase of the local sales tax. Japan Prime Minister Shinzo Abe said earlier this month the nation’s sales tax, which has remained unchanged at 5 percent since 1997, will increase to 8 percent in April 2014, and 10 percent by Oct. 2015. Toyota’s sales have grown in China despite anti-Japanese sentiments due to territorial disputes, but it is still overshadowed by its competitors. China is the world’s largest autos market at the moment and sales rose 11 percent for Toyota from July-September. Sales grew 12 percent in China for GM, with 745,026 vehicles sold compared to Toyota’s 220,000 vehicles. Toyota will be announcing July-September results next week, and analysts expect it to post double the operating profit than the same period last year. Analysts expect Toyota to earn $24.7 billion in operating profit for fiscal year 2014.